Are you a lady who sometimes interacts with people over the internet? Have we got an atomic truth bomb of a comic for you! 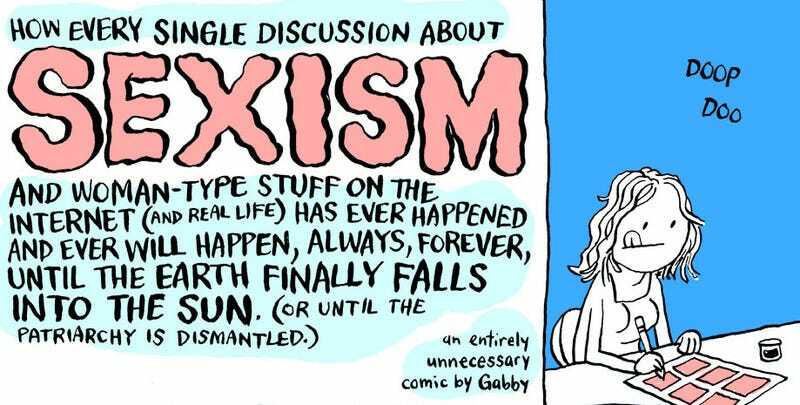 As a Lady who is occasionally (always) on the internet, I don't think I'm overstepping my experience by saying that Gabby Schultz nails it here. Best part? Gabby's a dude.